The Siren has admitted before to gaps in her viewing history, and one of them is Egyptian cinema. She hasn't even seen a full film by the great Youssef Chahine. What little viewing she has done has been accomplished on trips to Paris--clips, sequences and scenes watched with her Lebanese mother-in-law, Zahra. Zahra grew up watching these movies in cinemas in Beirut and her home town, Tyre, and she has always been happy to expound on her favorites with her non-Arabic-speaking daughter-in-law. Zahra is also an indefatigable channel-surfer, so the movies have been viewed piecemeal, as she flips through the many Arabic channels they get via satellite. With Zahra I've watched dance numbers by the exquisite Samia Gamal, romantic scenes with the actress Raqiya Ibrahim, songs from Leila Mourad. I've watched social dramas like one set in a hospital in a desert, which had an extraordinary sequence showing a riot for water. None of them were subtitled, and the Siren often hasn't bothered to ask for a translation, especially for songs, as the reply is so frequently "She's singing about loooove." From Zahra I hear about what she thought of the actresses and the movies, what she heard of the stars in magazines and newspapers, which scenes she remembers best. On this visit, we came across a musical number from a film starring the Syrian-Egyptian singer Asmahan, the one big rival to Umm Kulthum. Asmahan died in 1944, age 25, under circumstances even the non-conspiracy-minded Siren finds fishy. The Siren watched with Zahra as ball-attired men and women waltzed around Asmahan. The singer's voice was magnificent and she had presence so strong you barely notice what else is in the frame. "Is she singing about loooove?" inquired the Siren. "No," retorted Zahra, as one who says take that, smart aleck. "She is singing about Vienna. How beautiful is Vienna." The chorus sank to the floor, champagne glasses aloft, and Zahra added solemnly, "And they should interdire this song." "She is telling everyone to drink!" Zahra threw back her head and roared with laughter. The Siren didn't realize it, but she was revealing the true extent of her ignorance, because this song is extremely famous. So this post is in no way a deep or analytical look at the rich history of Egyptian cinema. It is, rather, about the pleasures of viewing unfamiliar movies with someone you love. Last week the Siren and Zahra were on the sofa while Zahra flipped through news channels and the many romantic-type TV serials that play a lot during Ramadan. She lighted on a movie that looked very promising to the Siren: Mad Men-era costumes for a musical number being performed in an ancient Egyptian temple. "Look," Zahra said. "This is the movie that has Lina's dance." Explanation here. The Siren was married in Tyre in 2000, in a ceremony and reception organized by Zahra with military precision and detail. My husband told me it was going to be small. I arrived to find that in Lebanon, "small" means the ballroom of the local hotel, champagne, dancing, a five-foot-tall cake that you cut with a sword, 150 guests and enough food to feed them all through a four-month siege by the Prussians. It was, of course, a roaring good time. Lina danced beautifully, but this information was completely new to the Siren. "You're telling me that when Lina danced at our wedding, she was doing a number from this movie?" "Somebody did a dance number from a movie musical at MY wedding? An OLD movie musical?" "Yes," grinned Zahra. "You're pleased?" "That," I said, with strong emphasis, "is THE COOLEST THING EVER." "OK," said Zahra, setting down the remote. "We'll watch. I think Lina's dance is coming up." Zahra told me the movie was called Love in Karnak (Gharam fi al Karnak, 1965) and was produced, written and directed by Aly Reda. Mahmoud Reda (the Siren has been unable to track down the precise relationship, and Zahra herself wasn't clear on it) was the man on screen sneaking around the ancient temple wearing a bowling shirt. Reda, a major figure in Arabic dance, clearly took some film-dance influence from Gene Kelly. His moves were very athletic and very balletic. "Many female dancers in Arab cinema," said Zahra. "Not many male. He is one of the few." We were well into the movie and evidently in a dream sequence, with Reda moving gracefully around the temple spying on the proceedings as a pharaoh was carried in on a sedan chair and and a dance number was performed by a chorus line of beauties. "The beauty of our sun," translated Zahra as they sang, "in our country it is always spring." And then the dancers moved to the side, the door swung open and in came the heroine (Farida Fahmy). "Aha," said Zahra. "Here is Lina's dance." And indeed it was, move for move, although despite Fahmy's skill the Siren's preference was for Cousin Lina. Lina had also incorporated some of the chorus's later moves into her performance. The dream sequence ended and the scene gave way to Reda and Fahmy's dance troupe building a theatre at Luxor, quite like Judy and Mickey or Summer Stock. Lots of rhythmic shots of hammering, sawing, and people forming work lines and doing fun things like using a plank as a see-saw. In addition to the hero and heroine there was a sidekick in a porkpie hat and there were also plenty of showgirls in mufti, wisecracking away, which did the Siren's heart enormous good. Even Egypt has wisecracking showgirls. They unite the world. Luxor looked beautiful, clean and empty, as Reda and Fahmy met beside a temple pool and had what was obviously the "big breakup before the make-or-break show opening." "I visited Egypt around this time, in the early 60s," remarked Zahra. "Beautiful. Big boulevards with trees. Lovely hotels. You could drive anywhere. Only 26 million people then." "Why, how many are there now?" "Eighty million," she replied. I absorbed that astonishing fact while the scene changed to backstage with a miserable Reda getting ready for his show, and more fabulously smart-mouthed showgirls chatting. Back to the sidekick trying to get Reda to buck up. Then we cut to Fahmy's hotel room, where she was wearing a fetching dress and throwing a bunch of other cute things into a suitcase while nursing one hell of a snit. The sidekick showed up and they argued. "He's trying to tell her the show must go on," I announced. "I don't need subtitles," I crowed, immensely pleased with my backstage-musical decoding skills. "I don't even need you to translate." I had to back off that a bit, however, when Fahmy sent the sidekick away with a flea in his ear and the movie moved to the show's opening number, a sword dance by Reda. "He is singing about a blonde," translated an amused Zahra. " 'I am in loooove, the fire of my love burns…' " Almost without exception the dances were shot very simply, but that was fine with the Siren, as she couldn't get enough of the troupe's energy and grace. Reda left on a motorcycle to bring back Fahmy, and his journey was intercut with the showgirls' number, which Zahra also translated: "This is a popular-type song. 'This is the daughter of the mayor, see how she dances.' " The daughter of the mayor apparently has adorable verve and sways her flouncy skirt quite a bit. "This is how the people look at her"--with hands waggling near their faces. Man the Siren loves her showgirls. The movie wound down, with Fahmy showing up at the last minute for her big number with Reda, which again showed a lot of Kelly influence, specifically some of the sweeping circular moves from "Love Is Here to Stay" in An American in Paris. And the Siren says if you're going to be influenced by a romantic pas de deux, you could scarcely do better. Another big number, which Zahra told me was Nubian in origin, and then the final shot, of three poodles seated in the audience. That 42nd Street-type touch cemented the Siren's delight in the movie. It adhered to every backstage-musical trope you could imagine, but it was done with color and sparkle and enchanting sincerity. The Siren would like to see it all one day--with or without subtitles, but most definitely with Zahra. I am not sure why but this post left me in tears. Perhaps I just miss my father and talking with him. I love the bit about the wisecracking showgirls uniting the world (so true!!) and now I am going to watch all the clips. Holy camoly: did Lina KNOW how perfect and appropriate it was that she did a number from a movie musical for your wedding? I'm dumbstruck. That is, indeed, the COOLEST THING EVER. I was in Karnak in March, and would LOVE to see what it looked like 45 years ago. And, yes, that 80 million number sounds about right. The Cairo area alone has over 16 million people. The government is building settlements deeper and deeper in the desert, trying to get people to move out of the city. The traffic in Cairo is unlike anything I've ever seen: Manhattan drivers would blush to see what pikers they are. The fun is compounded by Egyptian drivers' propensity for replacing their headlights with small colored bulbs. But I digress. Although I really love Egypt. I'd kill to watch that film with you and Zahra! Sheila, thanks so much; I miss my father too. And we were both showgirls in another life, and had the smart-aleckiest mouths of all, I am sure. Karen, this was five years before I started the blog, so no, she had no idea, which was probably why nobody bothered to tell me for so long. (And I think my husband didn't realize the dance's origin.) Some of the Ramadan serials we watched were set in modern-day Egypt and the contrast was astounding. Last night our guest was talking about the Cairo developments. They were intended as low-income housing but many wealthy people are moving there because the air is so much cleaner. All the same, I would dearly love to see Egypt. Love in Karnak can be had with subtitles on VHS, according to my digging. Well, I don't see pieces like this coming out of Time magazine! This is beautiful stuff, and all the moreso for me because of how easily you manage to evoke a sense of place, of being with your mother-in-law, and the joy she obviously takes in explaining, and rexperiencing, her culture wth you through those films. I had one Italian great-grandmother who I knew and loved well who came from the old country, and though she didn't know movies well she would often sit down with me and watch and point out idiosycracies or innaccuracies about Italian culture that would pop up. And I can remember one long conversation about The Godfather which I was too young (at 12, in 1972) to have seen yet, which started out about the movie and various traditions and ended up in a kind of disturbing place where she started telling me about some unsavory characters that she knew, or knew of, back home. I wasn't too quick on the uptake, so my recall of details is extremely spotty, and she was cut off by her daughter, my grandma, when Grandma got the sense that she might be venturing into territory inappropriate for a 12-year-old. How wonderful that your marriage should be commemorated right from the start by Lina's movie-derived dance! And let me just raise a glass to cross-cultural wisecracking showgirls while I'm at it too! I've seen three of Chahine's films. One of them is the autobiographical ALEXANDRIA, WHY? which is about how Chahine as a young boy had an interest in theatrical productions, with big musical numbers(shades of RUSHMORE) and it's set near the twilight of the second world war. At the end of the film he gets on a boat and joins a group of immigrants to America, where Chahine studied dancing at Pasadena Playhouse. Another great film is The Land and a great recent film is DESTINY, set in Spain during Arab rule revolving around the philosopher Averroes. Jonathan Rosenbaum compared it to Kismet. I could actually imagine watching this stuff with my mother who was simultaneously a devoted Zionist, and also interested in Arab and Persian culture. She was the one who encouraged me to see Gabbeh, my first Iranian film. I've only seen Alexandria, Why?, though I felt mixed about that film. Still, there is so much more to discover. Please read The Museum of Love by Orham Pamuk. 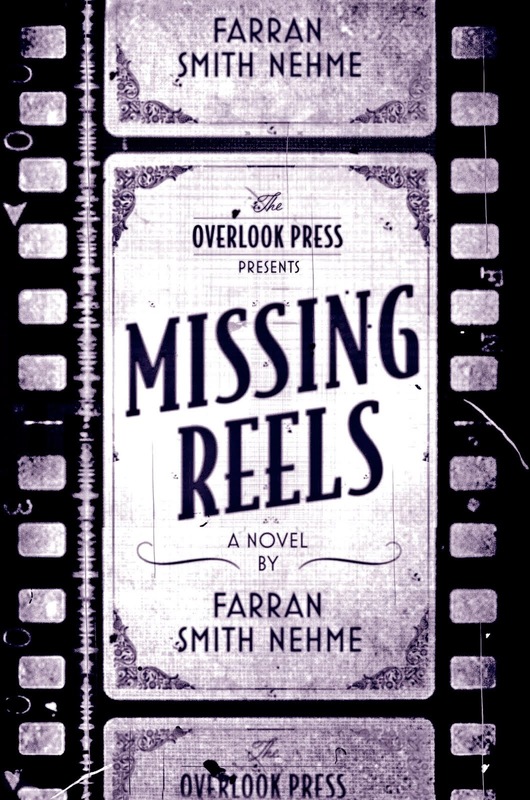 Like all of his novels it is beautiful at many levels, but the Turkish film culture, similar to Egypts in many ways, plays an important part in the novl Great post on what film is in other countries. It is truly art for the people and touches many in uncountable ways. A wonderful post. I learned a lot. Especially: "Even Egypt has wisecracking showgirls. They unite the world." The Chahine film to see is Alexandria Again and Forever. It's his . I LONG to see his Adieu Bonaparte with Patrice Chereau as Napoleon and Michel Piccoli as a gay Egyptian who crosses his path. And then there's one (whose title I forget) about his childhood starring Dahlida as Chahine's mother. It's dedicated to Gene Kelly! It shoudl never be fogotten that Chahine studied at the Pasadena playhouse as a youth, that he discovered Omar Sharif, and that his later films were all French co-productions. When Alexandria Again and Forever came out I had a brief exchange of FAXes with him that I treasure. He's by far one of the cinema's most interesting gay directors. Chahine was quite a character in person as you can read in accounts and interviews, a lot like Sam Fuller. He started as an actor and in his own films as well. He played the lead role in CAIRO STATION, considered by some to be Egypt's greatest film and in the film David E. mentions(which I am dying to see). It's available on DVD, Arthur. Nothing beats a Gay Egyptian Musical! David, I think our dinner guest was talking about Cairo Station when he told me about one of Chahine's films that he thought was quite Hitchcockian. It looks wonderful. I had no idea Chahine was gay. Peter, I'll bet your mother knew that a lot of the stars and creative people in early Egyptian film were Jewish, just like in Hollywood, or so said Zahra. Zahra told me that Ibrahim (whom I have been able to track down next to nothing about in English) left Egypt for Israel after the country was formed. Mourad was also Jewish, but she was married to an Egyptian Muslim and she remained in the country. The Wikipedia entry on her is fascinating but as always with Wiki I would like to see other sources too. The whole topic would probably make a great book project for a cinephile fluent in Arabic. Dennis, what a pity you never got to finish that conversation with your great-grandmother! I tried to talk about some things with my paternal grandmother--like Jim Crow and the Klan, both of which I am sure she remembered vividly--but as they say, denial ain't just a river in Egypt. She clammed up every time. I do have a letter my father wrote her while he was stationed in Germany in the 50s, right around the time of the Montgomery bus boycott, in which he was taking sharp issue with some of her notions. It made me quite proud of him, but credit where it is due, she was the one who raised him with that kind of searching and progressive mind, even if she didn't anticipate all the consequences. We so seldom get to have the kinds of conversations with our elders that throw a window on history, movie or otherwise, so when we do, it's something to treasure. Drip, Pamuk has been on my "should read" list for ages; I should probably start with the film-related one, as you say. I went to Istanbul a few years back and loved it. This is a gorgeous piece, Siren. Thank you. I'm certainly with you, too, in the desire to watch Chahine. But let me add something about Pamuk, whose writing was introduced to me by my first husband who went on to live in Istanbul. (Perhaps being married to "Mrs. Henry Windle Vail" fills one with a desire to live in the opposite hemisphere?) He gave me a copy of the Pamuk volume "Istanbul," which I'd recommend as an introduction to the author. "Museum of Love" dragged for me, and -- at least in the portions that I read -- the film stuff seemed to be subsidiary detail rather than anything substantial. I'd also recommend "My Name Is Red." Ha! Well, the Siren has one ex in Australia and another in California so perhaps I drove some of them to geographic excess as well. :) My Name Is Red is the Pamuk people always urge me to read. I should have read him in Istanbul--I have this thing with matching reading material to locale--but I was reading A Coffin for Dimitrios instead. I have to say it was a pretty damn perfect choice, however. Household's been under the weather, a real remate de males, so I only read this cursorily until yesterday, and a lovely, heartfelt, human post it is. Can't think of anything to surpass such a perfectly cosmic circumstance as that wedding dance. Wonderful! I've viewed a number of films over the years with my French mother-in-law, both here in the States and in France, and she has a critic's eye ranging from popular films from H'wood to serious French ones, mostly from the late 40's thru 50's and early 60's. There's a family connection with the great Jean Gabin, whom she has a soft spot for - he can do no wrong, which is OK by me - but she watched a lot of great European films when they were released and doesn't hesitate to throw a whammy evil-eye if she sees anything she thinks deserves it when we'd watch one together. In the early '80s once in Juan-le-Pins in the Antibes, we were huddled around the telly to watch a retrospective of a Hollywood noir, and she, and my father-in-law, commented quite knowledgeably on "Somewhere in the Night", with John Hodiak, which evidently they and many of their generation held in higher esteem than most reviewers in the States at the time. I always had a soft spot myself for that one, it was the first retrospective film on the big screen I purposely decided to go watch with a girl - a curiously interesting girl, true - and it was fun to see how well it had survived in the memories of others as well. I haven't watched any Egyptian Cinema (you don't normally see the two words together in a sentence) but this personal and beautifully written introduction has fired my interest! It reminds me to go looking for Cinema rather than hoping it will fall in my lap. Siren (are we allowed to call you Campaspe anymore? ), just wanted to let you & your readers know I've started a series on my blog which will be looking back on films that came out 10, 20, 30, etc. all the way too 100 years ago this week. It'll pop up every Friday and part of the idea is to hear from people who've actually seen or at least know more about some of these films than I do. (Case in point: most of the pre-1970 titles this week, including an Epsteins comedy & one of Gloria Swanson's early talkies.) You & your crowd came to mind - to avoid too egregious blog-pimping I will not drop the link but rather encourage anyone interested to click on my name and share their thoughts on any of the films in question. By the way, it's been killing me for a while now: where is the breakfast-in-ship-bed picture from above? For the record, the Pamuk that Husband#1 cites as his favorite -- which I've yet to read -- is "Snow." Showgirls are universal, as is full-frame dance staging. How was Ramadan, Over There? I hope it was better than the evil furtiveness our present moral panic has generated. And, of course, Eid-al-Fitr starts tonight. May it be a happy one, for you and yours. MovieMan, thanks for stopping by. I don't know which ship that is, but it's Paulette Goddard with the intriguing suitcases and the ermine throw. Stephen, I think for years Arab cinema was, in effect, Egyptian cinema. What I've seen has certainly intrigued me. CGeye, we were in Paris when we were watching; I haven't been back to Lebanon since 2002. During the 2007 war they were using the very ballroom where I was married as a holding center for people being evacuated. I'm sure it's back as it was now. Lebanon is a resilient place. Mrs HWV, I had a friend write to me yesterday and say that Snow was a bit of a slog for her, but she is still eager to read My Name Is Red. France only had one or two TV stations back in the day, as I'm sure you are aware, and EVERYBODY saw whatever was decided upon, so many got a good education in American films and TV - not sure if that was good or bad. I've heard of that nasally voiced chap before somewhere, but the in-laws remember the "speaktrines", (I believe they are called, and hopefully that's the correct spelling!) the smartly-dressed young lady announcers - my wife aspired to be one, or at least, be just like them. She waited patiently for "Belle et Sébastien", a charming TV series based on the novel by the late, lovely Cécile Aubry, and there was a family-hour-specific children's show with puppetry, starring a famous Theodore bear, Nounours - except my wife rarely saw it because it was on at 8:00 PM, and like good little French girl, she was already in bed; sneaking became an art form after awhile. She lived with her grandparents off and on, too, and they didn't even have that new-fangled contraption, le télévision. The family connection to Gabin is on her father's side, a cousin on his mother's side type thing. I was unaware for years, already loving his work since high school, and Gabin, along with Lino Ventura, his filmic tough guy alter, will make me watch any film with either of those two in it. I second Ventura and Gabin, and add the glorious Louis Jouvet. Sorry, should have unpacked -- how was the holiday, in Paris? I hope your holiday (and the holiday) went well. As oyu can well imagine I can hardly wait. My film viewing has several major gaps including Egyptian cinema. And sadly our library is lacking in this area, but ILL is willing to try and find a few once I've compiled a list starting with LOVE. So thanks Siren for a beautiful post and for helping to broaden my horizons. In case y'all hadn't seen this, here's a story about sisters who are planning to live forever because neither wants to give the other the satisfaction of dying last.